The humble bookcase is no longer reserved for the study or library alone. Any room has the potential to house a certain amount of shelving - maybe a magazine rack for your sitting room, a kitchen dresser to display recipe books and crockery, or a bookcase for your library. You might even want a place to store reading material in the downstairs toilet! 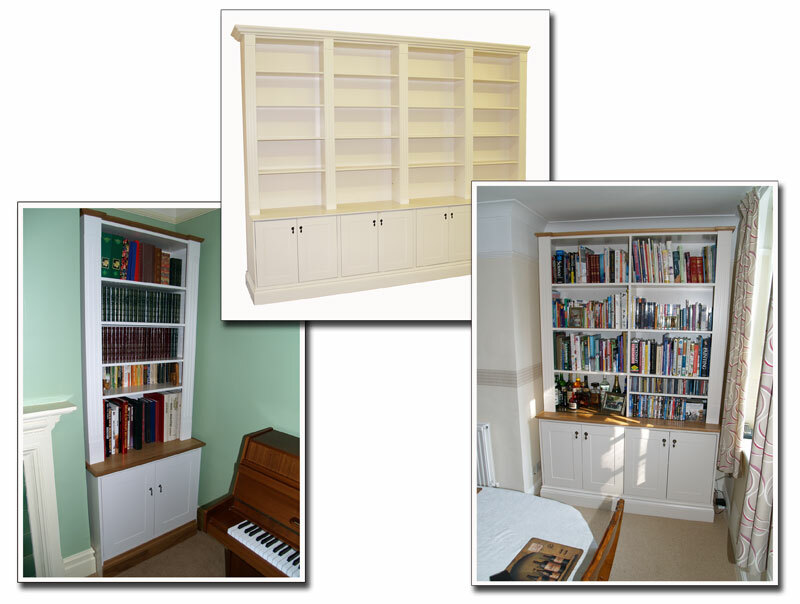 If it's a bespoke shelf you're looking for, however grand or small, Furniture to Fit can design and build a unit to hold any size of book collection, from baby's first library to even the most extensive set of publications. The Brief: Lots of storage capacity for books and personal effects. Solution: Large 2.4M tall shelving units with fixed shelving and lower cupboard storage. Finish: Finished in hard-wearing cream lacquer with cornices and moulded skirting.